The Long Beach International Film Festival gets underway August 7 with a free event of music, food, and film shorts on the beach. 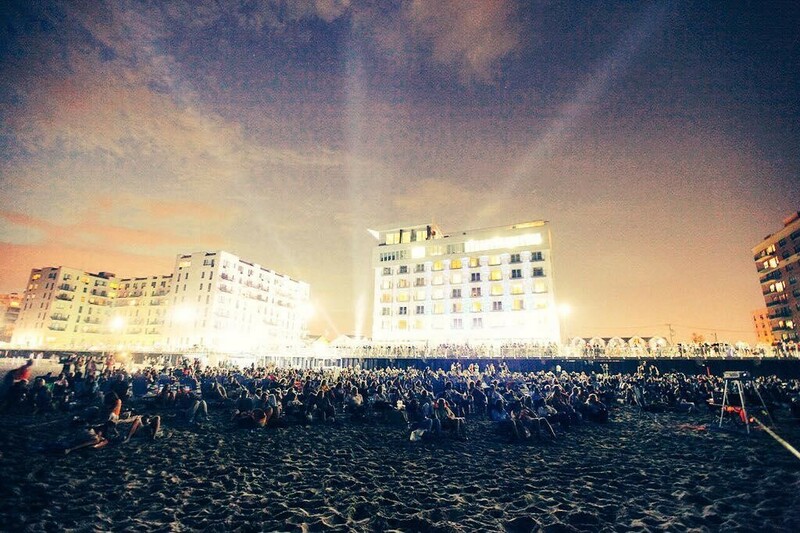 Long Beach, NY – This year, the Long Beach International Film Festival is taking the concept of “Dinner and a Movie” to a whole new level. On August 7th (RAIN DATE: August 8th) beginning at 5pm, be “on the beach” between National Boulevard and Edwards Boulevard in Long Beach NY for the biggest beach party of the summer, with films, live musical performances, food, wine, craft beers – and even a red carpet. Then, join in the 4th Annual “Shorts on the Beach” – an annual FREE, open to the public event (tickets are required, and can be reserved HERE). Among the many interesting titles being featured include Director Brooke Wagstaff’s animated film and Award-winning Vimeo Staff Pick “Missing U”; an animated tale about the letter “I” and her perilous adventure in search of her missing “U”. As a Long Island highlight, Director Peter Frizalone’s HBO Project Greenlight Top 200 “Mommy” will be making its World Premiere and begging the question “Do you know who is in your house?”. Other films include Director Chris Jordan-Bloch’s documentary on an ever-growing world issue “Dryden – The Small Town That Changed the Fracking Game” where the power of community takes on the power of fracking; Director/Producer Stephanie Donnelly’s narrative/comedy “The Cannoli” where a Long Island family dinner turns tragic and a choice must be made between dessert and family; Director Sarah Menzies’ San Diego Surf Film Festival Best Short winning documentary “Catch It”, which follows Léa Brassy as her nomadic lifestyle takes a pause and she finds serenity in the Arctic surf of Northern Norway; and Croatian Director Antoneta Alamat Kusijanović’s World Premiere of “Eye for an Eye”, in which child’s play turns into a showdown of imagination and discipline. 6:00PM Taste On The Beach opens with restaurants, wineries and craft breweries coming together to give a sampling of their favorite dish/bottle/brew. 9:00PM Taste on the Beach ends. Shorts On The Beach begins with such shorts as NYC director Cindy Allen’s “Trust Design” and Peter Frizalone’s “Mommy”. “The Shorts on the Beach program is a wonderful representation of what is in store for the Long Beach International Film Festival in September,” Long Beach International Film Festival Programmer Steve Shor said. “The program will open with the Oscar winning short Feast from Walt Disney Animation. Additional animated shorts include Deep End by Oscar nominee Bill Plympton and Bear Story- a Chilean computer animated short (considered one of the best this year). In the short documentary arena, we have Trust Design by Interior Design Magazine and Dryden by EarthJustice. Finally, the program includes some wonderful Narrative submissions from New York based directors and Universities”. The Long Beach International Film Festival celebrates the art of storytelling through cinema. Presenting shorts, fiction and documentary formats, the festival is committed to exhibiting films that convey a fresh voice and differing perspectives. The goal of these programs is to captivate, engage and enlighten audiences, provide invaluable exposure for filmmakers and present inspired entertainment (www.longbeachfilm.com).